Bergstrom-Mahler Museum of Glass is a museum showcasing objects made out of glass. It's located in Neenah, WI. This photo was sent in by AS. He writes: "Who knew you could build an entire museum around paperweights? For more than 60 years, the Bergstrom-Mahler Museum of Glass, 165 N Park Ave, Neenah, Wis, has been wowing the area with a cool museum of all things glass - and hey, the free admission doesn't hurt. "Besides permanent and rotating exhibits, the museum also has an art studio for classes, including ways for Cub Scouts to complete various requirements. 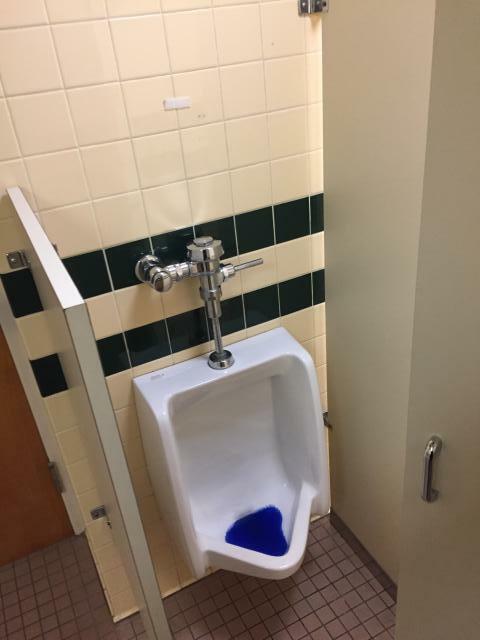 "These urinals are located in the basement."